His 'giant leap' remains unsurpassed. 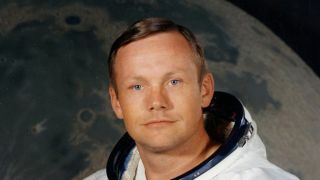 Neil Armstrong, perhaps the technology world's greatest pioneer, has died at the age of 82. The Apollo 11 astronaut, who was the first man to step foot on the surface of the moon in 1969, was suffering from complications as a result of cardiovascular procedures. His quote: "that's one small step for man, one giant leap for mankind" as he stepped down from the lunar module and onto the surface, remains one of the most famous ever uttered. Armstrong, an aeronautical engineering graduate from Purdue University, said during a rare public appearance in 2000: "I am, and ever will be, a white-sock, pocket-protector, nerdy engineer." US President Barack Obama led the tributes to Armstrong saying "he delivered a moment of human achievement that will never be forgotten." "They (the Apollo 11 astronauts) carried with them the aspirations of an entire nation. "They set out to show the world that American spirit can see beyond what seems unimaginable — that with enough drive and ingenuity, anything is possible." A family statement released by NASA said: "Neil Armstrong was also a reluctant American hero who always believed he was just doing his job. He served his Nation proudly, as a navy fighter pilot, test pilot, and astronaut. He also found success back home in his native Ohio in business and academia, and became a community leader in Cincinnati."